Remember that Sprout-themed shower I posted a while back with that gorgeous inspiration from a lovely lady named Jess? Well, this time around, Jess is the one who had a shower thrown for her. Jessica's girlfriends Madie (my sister in law), Linsey, and Guinevere worked together on a baby shower for Jess that reflected her sophisticated, glamorous style. Linsey hosted the shower at her beautiful home in Ross (Marin) and since my other sister in law, Vale, was at the shower I scored some real party pictures too. Thanks Vale! Jessica is having a baby girl! 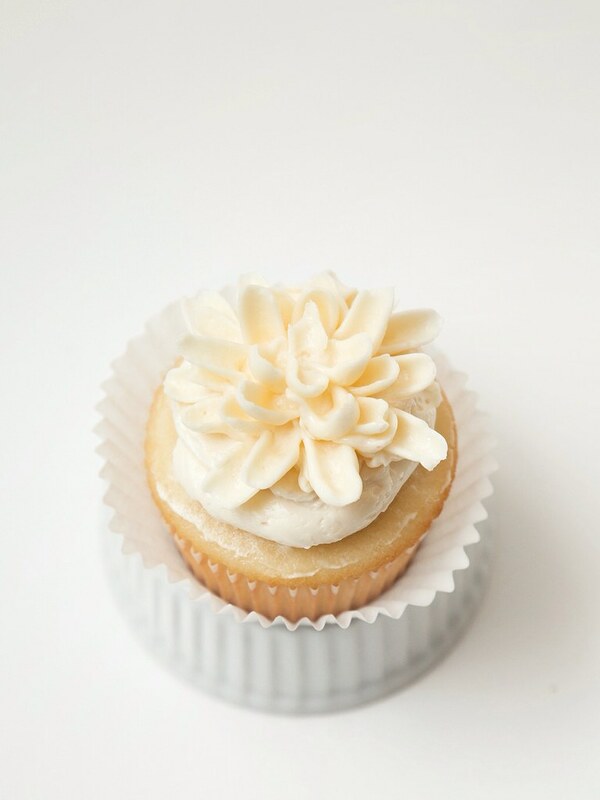 The colors for the party were neutrals -- white, ivory, and a few sprinkles of lavender and metallics silver and gold. The flowers were a fresh mix of white and green -- including some of Jess's favorite flowers, one of which is chrysanthemums. 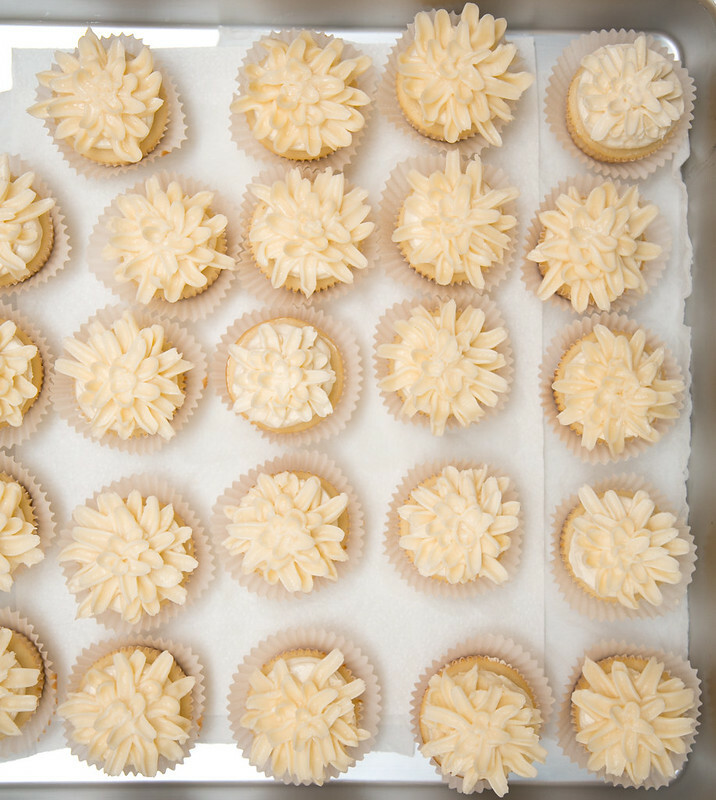 To coordinate with this "concentric" flower - I did vanilla cupcakes with vanilla buttercream and piped ivory chrysanthemums on top. Jess also loves geometrics patterns. 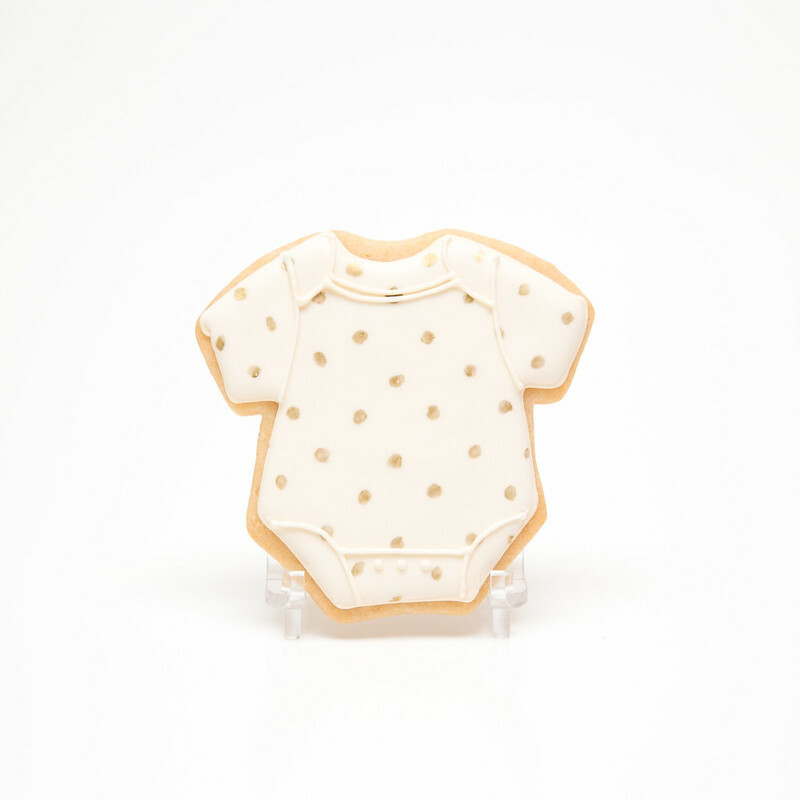 Which brings me to the onesie cookie favors that Madie ordered... I played with the geometric patterns, even using Jess's Pinterest board for some inspiration, and did three different onesie designs: chevrons, triangles, and polka dots. 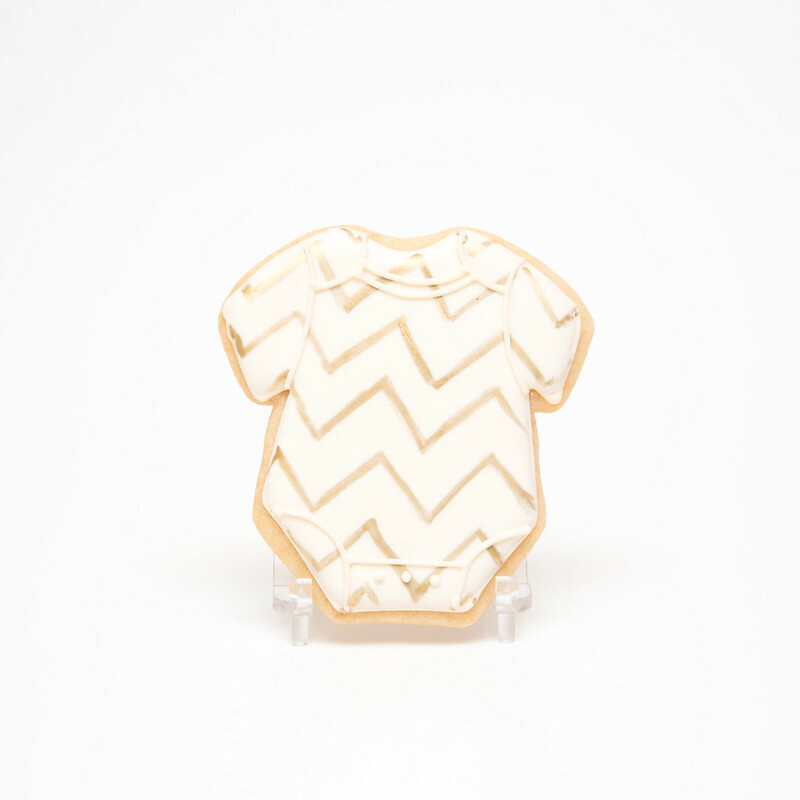 I hand painted the patterns in metallic gold onto cream/off-white onesies. I love the way they came out and think the mix looks really cute together!